HomeNewsCan Liam Kirk inspire local talent to the sport? Can Liam Kirk inspire local talent to the sport? 18-year-old Liam Kirk is the first player born and trained in England who has been selected in the National Hockey League draft. The forward was pick number 189 this year having being chosen by Arizona Coyotes and now many are suggesting the former Sheffield Steelers player could help to inspire local talent to take up the sport. From humble beginnings, Kirk is already proving that anything is possible with a bit of hard work. Kirk, born in Maltby which is a former mining town in Rotherham, has enjoyed a remarkable rise to the top in many respects. This has included playing a lot of junior hockey in Sheffield, which involved the rising star’s parents driving him to and from a lot of training sessions and games. From there, Kirk became a star with the Sheffield Steelers in the Elite League, and this saw scouts from the NHL coming to watch him play, which is a huge achievement. Kirk’s adventure over the pond is likely to begin with time at one of Coyotes affiliate teams. This will give him time to learn and understand the North American game, while also helping him to become stronger too. He could find himself playing junior hockey in Canada for a while where he would be pitted against players of a similar age. Kirk is also likely to undergo a strength and conditioning programme while at an affiliate team, to help him gain muscle and to improve his core strength. There is no doubt that hockey fans and sporting news sites such as Betting.com will be following his progress with a super keen interest, as we all hope he realises his true potential in the sport. It will be pleasing for Kirk that its former Sheffield Steeler’s skipper, Rob Wilson, who is tasked with keeping an eye on his development. Wilson, who has enjoyed stints at Newcastle, Ritten and in Germany with top flight side Nurnberg Tigers, is a familiar face to Kirk and knows all about the teenage prodigy’s talents; as well as what he needs to do over the next two years, if he’s going to be ready to play in the NHL. Just making it this far is an outstanding achievement that is set to inspire more people to take up the sport. Kirk, making it from junior hockey to play in the Eilte League, to then get scouted by NHL outfits has really smashed down any perceived barriers in regard to young English players making their way to the top of the sport. His story, which is by no way complete, has really managed to open doors and given young, local talent the proof that with a lot of hard work and commitment, they too could follow in his footsteps and find themselves being tracked by NHL teams. 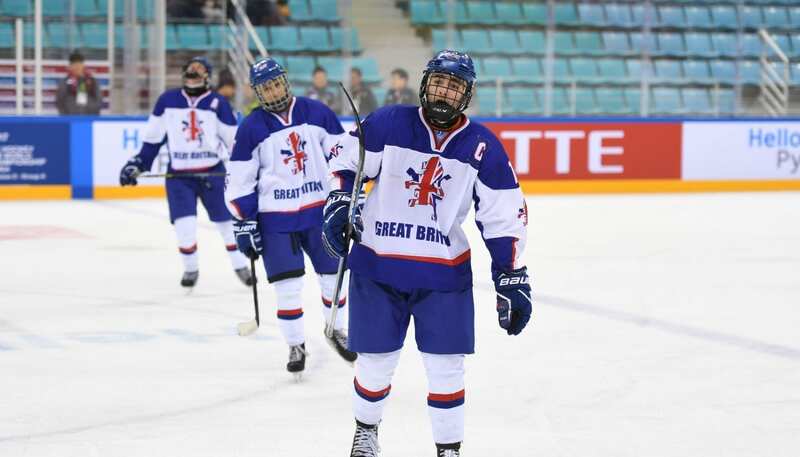 There’s so much to aim for as a young ice hockey player in England. This includes earning a place at an Elite League team or going on to represent the England national team, but Kirk has proven that there’s even more out there with his achievements. He’s shown that dreams don’t have to be dreams anymore.